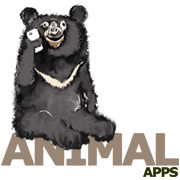 Animal Apps makes mobile phone apps, mostly games, to support animal rescue and welfare organisations all around the world and donates at least 50% of the profits from each app to the organisation we make it for. Animal Apps – good games and great causes! Sign up for our 100% spam free email list to be updated on our games and the wonderful animal rescue and welfare organizations we support. Is life to knew what some of these apps are so I can start paying please. The best way to stay up to date is to join the email list above.